I’m at the Festival for several reasons. I belong to a network of kamishibai storytellers (Japanese paper storytelling). Kamishibai a way of telling stories orally with pictures that relates to manga and animation. This way of sharing stories has spread beyond Japan and is increasingly popular especially in the US, Brazil, Mexico, Germany and The Netherlands. Our group (AKA – Australian Kamishibai Association) has wiggled its way into the Williamstown Literary Festival with: a children’s workshop, performance showcase of stories for children, adult session on Kamishibai and comics and a display (stages and original stories). We will also run a drawing and colouring table and create a small story area with a stage and stories where anyone can have a go. I am also at the Festival with my storytelling and musician collaborator (Sarah Depasquale) to share a spoken word piece we dedicate to the Friends of the Williamstown Botanic Gardens. The Amazing Case of Dr Ward and Other Stories includes two kamishibai stories. 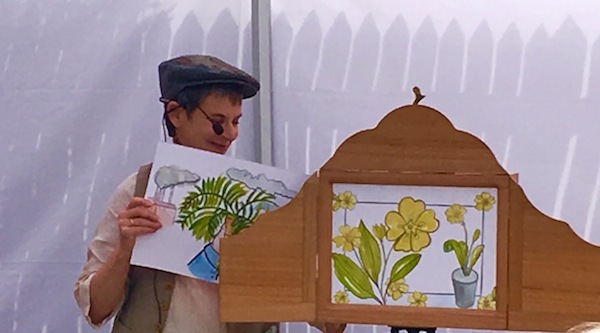 One of these is the story of the first Wardian Cases that brought plants from England to Australia in 1833 and the illustrations are by by Willliamstown local and programmer of the Festival, Loraine Callow. We also have a scaled down replica of an early Wardian Case made for us by the Hobsons Bay Men’s Shed. Everything! But I’m especially looking forward to our kamishibai display and the chance to share this way of creating stories with children, teachers, illustrators and anyone who enjoys the art of story making. This is the first time in Australia Kamishibai has been given space in a festival in this way. We hope to ignite enthusiasm! I am also excited to finally be performing The Amazing Case of Dr Ward and Other Stories in Williamstown. After almost two years of research and making, we launched the stories at the recent Port Fairy Folk Festival but we have not yet had the opportunity to share the work in our community. Oral storytellers have a saying. Before there were books, there were storytellers; the tradition of storytelling is connected to the book like blossom to fruit. 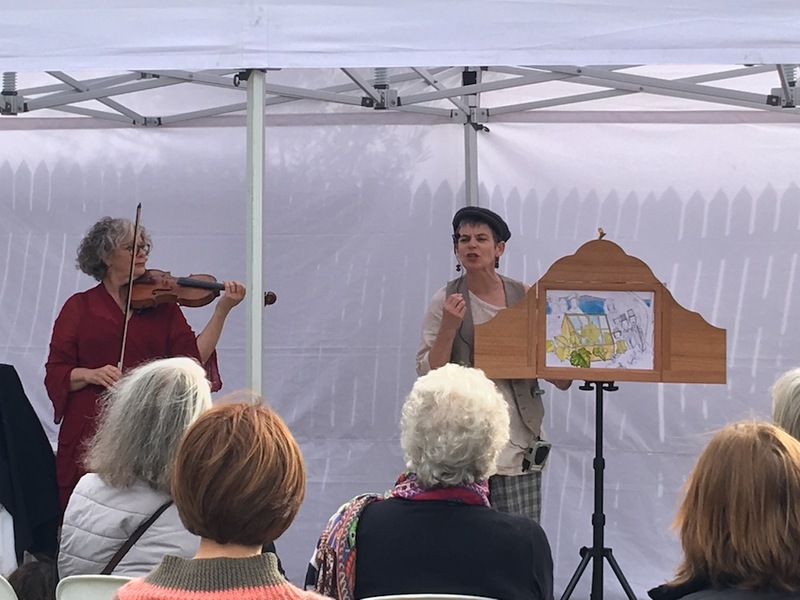 To the best of my knowledge, the Williamstown Literary Festival was the first of the literary festivals in Australia to give generous space the practitioners of oral storytelling. I am sparked by ideas and stories that bring people together and deepen connection to community and place. I don’t have a single process but I am enthusiastic about collaborating with others from other disciplines. For example with The Amazing Case of Dr Ward and Other Stories I worked with Colin Dyall from the Hobsons Bay Men’s Shed, Loraine Callow and her illustrative talents and knowledge and connection to the Williamstown Botanic Gardens, Sarah Depasquale and her expertise as a classical violinist and Nan McNab editor and author. A project like this simply would not happen without collaboration. Equally the kamishibai component in the festival is only possible because of a team and especially Anna Manuel, author, educator and kamishibai storyteller. I am always reminded of this when I see a project finally go out into the universe, be it a book, a performance or a festival for that matter. All things start from the seed of an idea and it can take months but more commonly years, for a tangible result. I love research and the process of creating: writing, editing, fine-tuning and like I said, collaborating. Life has taught me that tenacity, audacity, curiosity, humility and patience will see things grow. 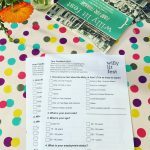 Check out Jackie’s sessions at Willy Lit Fest 2018 here.